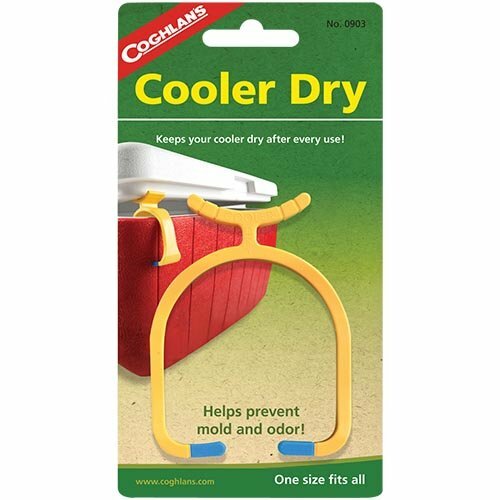 The Cooler Dry props the lid of a cooler in a partially open position allowing for circulation of air and proper evaporation of moisture. The durable plastic design fi ts all coolers. Helps prevent mold & odor!